Do you own the PRID32oz? Please, tell us what you think about it. It helps us provide you with better products. Please note that it may take up to 72 hours for your review to appear. Pros: I had a diesel tractor that had not run for at least 5 years (awaiting the time, tools and energy to replace the ring gear and starter). 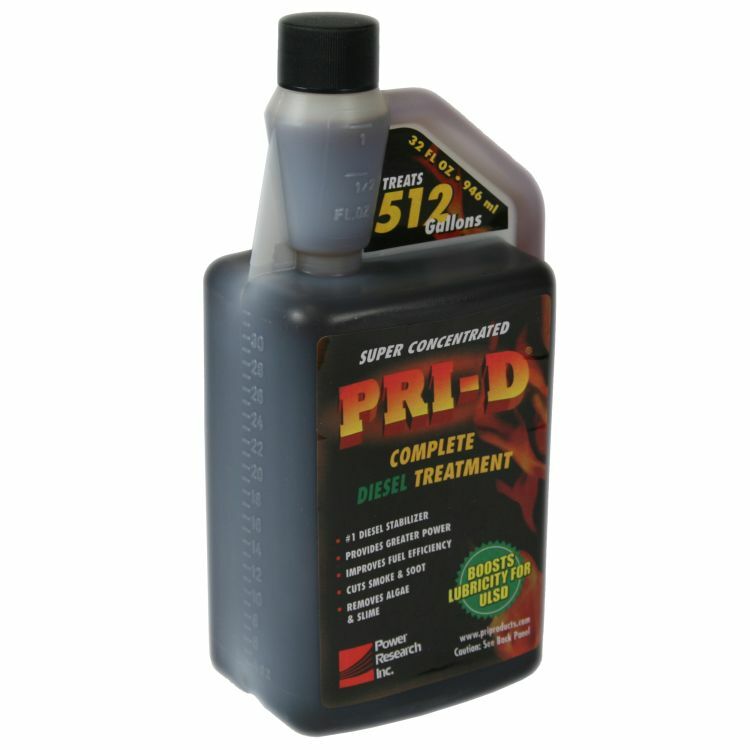 Pri-D had been added to the fuel, and re-added a couple of times over the years. After new ring gear (and new battery - remember to maintain those, too), it started and ran as it had years before. Cons: I can't be certain that my positive results have been from Pri-D; I have no failures to compare to. The gasoline product, Pri-G, has worked better than any of the other gas preservatives I have tried. With diesel, I have not tried many others, so it's more difficult for me to judge this product. I *might* have had good luck with diesel without this additive, but I am not willing to sacrifice any equipment to a scientific experiment.